So this is a really beautiful piece. In my humble opinion the price tag is a bit high, just a bit over two thousand dollars. Here are two pictures of the skirt. But the thing that really interests me about this skirt is the company that makes it. 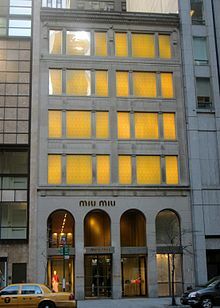 Miu Miu was created by Miuccia Parada. And is a fully owned subsidiary of the Parada group. Now I know that I even mentioned in my last part that I have written about the Parada group before. But after I see them all over the place it causes me to start thinking. Maybe that are part of one of those secret old society's like the free mason’s or something. Don't we all just love a little conspiracy theory.